No two shoppers are the same, but when they were born has a lot of influence on purchasing decisions and whether they choose to engage with a brand or not. One decision that is impacted by the generation a person is identified with is brand loyalty. According to the 2015 CrowdTwist Loyalty Report, millennials and gen Xers are 24 percent more loyal than baby boomers to their favorite brand. To win the loyalty of this group, however, brands have their work cut out for them. While millennials are open to joining loyalty programs - mainly for discounts and coupons, followed by cash back/credits and free products and services - they will abandon the program if the rewards aren't compelling or relevant. This means, enterprises must leverage personalization tactics/technology to deliver relevant offers based on a member's purchase history and behavior. Brands can also win millennials' dollars by connecting with them on an emotional level, as donations to charities is one of the top reasons they join a loyalty program. CrowdTwist reports that this group is more apt to engage with companies that they can identify with— both personally and emotionally. In other words, they want to feel good about their loyalty choices. 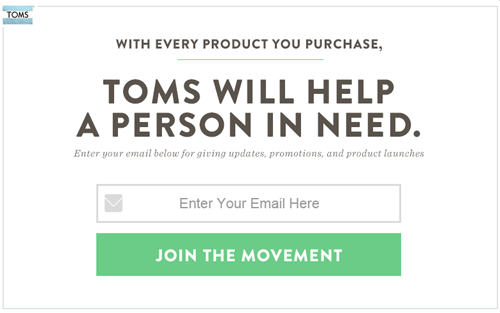 One way companies can do this is by, of course, offering a donation aspect to their loyalty programs, as well as by including a charitable aspect in their value proposition. For example, when someone buys a pair of TOMS shoes, another is pair is given to someone in need.